“I find it amusing. 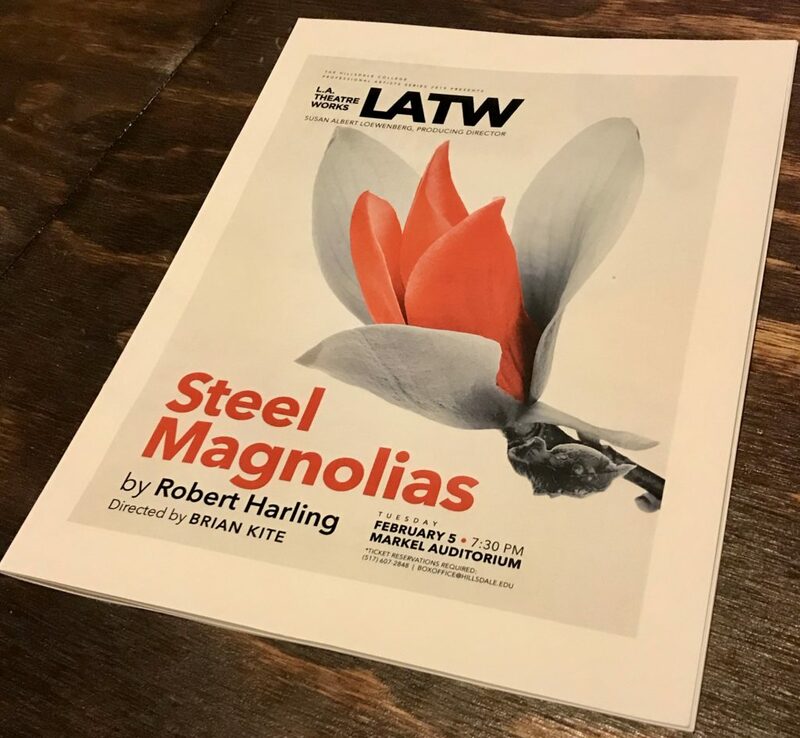 Men are sup­posed to be made out of steel or some­thing,“ is the iconic line from Robert Harling’s well loved play “Steel Mag­nolias,” that had the whole audience laughing and crying on Feb. 5, when L.A. Theatre Works gave an unfor­get­table radio-style per­for­mance of the play at Hillsdale College. 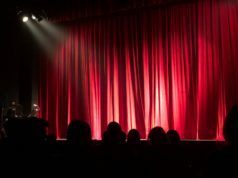 Many know “Steel Mag­nolias” because the play was made into a movie in 1989, starring Sally Fields, Julia Roberts, Dolly Parton, and Shirley MacLaine. The movie became a classic, making audi­ences laugh and cry at the peculiar beauties and sorrows of life. Though LATW’s per­for­mance was utterly dif­ferent from the movie as a live radio-style per­for­mance, it cap­tured the vibrant humor and poignant story that “Steel Mag­nolias” is famous for. And most of all, the type of per­for­mance LATW gave showed how pow­erful good and sim­plistic sto­ry­telling can be. The cast was com­prised of six women, each standing in front of a mic facing the audience the whole time, deliv­ering their lines. It was simple, and there was little movement or visual stim­u­lation. But these women didn’t need visual stim­u­lation: Their mere voices and speaking were cap­ti­vating as they told their story. There was never a moment of boredom, even though they were lit­erally just standing and talking to the audience. As the audience laughed at the sassy jokes, and sat per­fectly silent at the solemn climax, the power of the actresses and Harling’s sto­ry­telling was proved. It was com­forting to see that, in a culture that relies so heavily on visuals and screens for enter­tainment, old-fash­ioned, good sto­ry­telling still has the immense power to grip audi­ences. To any devotee of the 1989 “Steel Mag­nolias” movie, LATW’s per­for­mance may not have the same power that the screen does. And it’s true that no one can ever capture the snark­iness of Ousier Boudreaux and lines like, “Don’t try to get on my good side! I no longer have one,” the way that Shirley MacLaine did. And Sally Fields’ gut wrenching per­for­mance, when she is crying and asking why her daughter would die before her, is untouchable. James Brandon, chairman and pro­fessor of theatre and dance, said that he loved the per­for­mance and thought that “Steel Mag­nolias” trans­lates very well into a radio play. And though the radio-style did not have the visuals of the movie or play, Brandon said he felt like he could have closed his eyes and got the full ren­dering of the story just by lis­tening. In fact, he said that he now finds the live play boring by com­parison. Brandon knows that “Steel Mag­nolias” is a cult classic and many people love the movie. But he thinks the actresses were stellar and the pace of the sto­ry­telling was remarkable. “Each actress approached their role appro­pri­ately,” Brandon said. As a play overall, Brandon said he loves how unique “Steel Mag­nolias” is. It is one of the few plays that has six female pro­tag­o­nists and it is rare that a stage play can translate so well into a radio play. In many ways the 1989 movie is always going to be the most pow­erful per­for­mance of Harling’s play. But LATW’s actresses had to employ a com­pletely dif­ferent style of acting which may be even more dif­ficult than what Sally Fields did on screen. They didn’t have the option to act through motions, or even interact with one another, since they stood in a line, never looking at or addressing each other. They had just their voices, facial expres­sions, and small hand motions to tell a poignant story about life, death, and friendship.